A rare natural phenomenon taking shape in the US state of Maine is mesmerising people around the world. 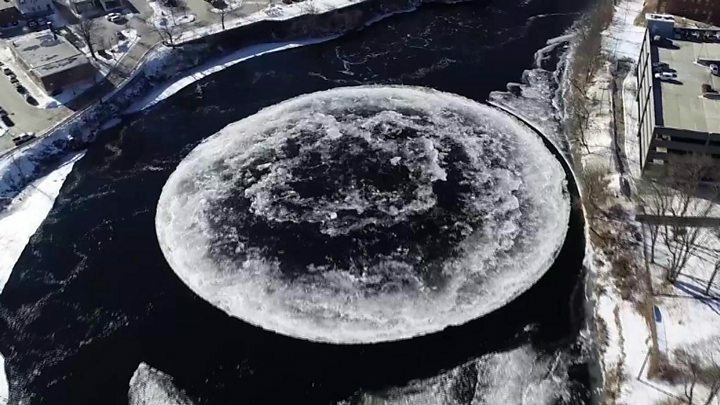 A giant slow-turning ice disc, measuring approximately 91m (298ft) wide, has formed in the Presumpscot River in the city of Westbrook. The captivating natural oddity has drawn comparison to an alien spacecraft, a carousel and the Moon. 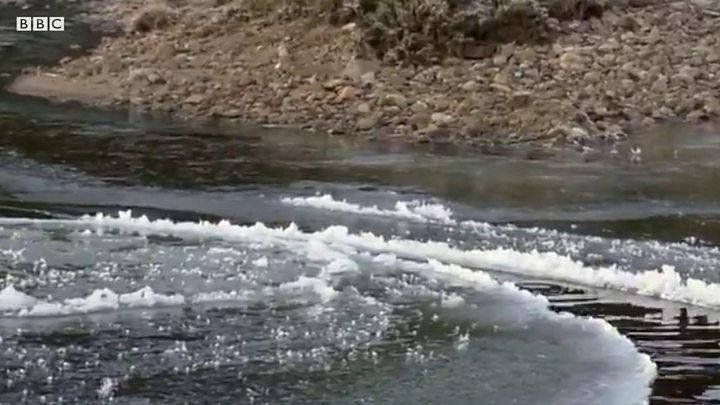 Researchers believe ice discs spin because of temperature changes in the water, creating a vortex underneath. The movement chips away the edges, creating its circular shape. The large rotating disc has served as a raft for ducks and other birds, news reports said. City of Westbrook authorities were notified of the disc by a local businessman, and used a drone to capture the moonlike ice formation. Video How worried should we be about melting ice caps?